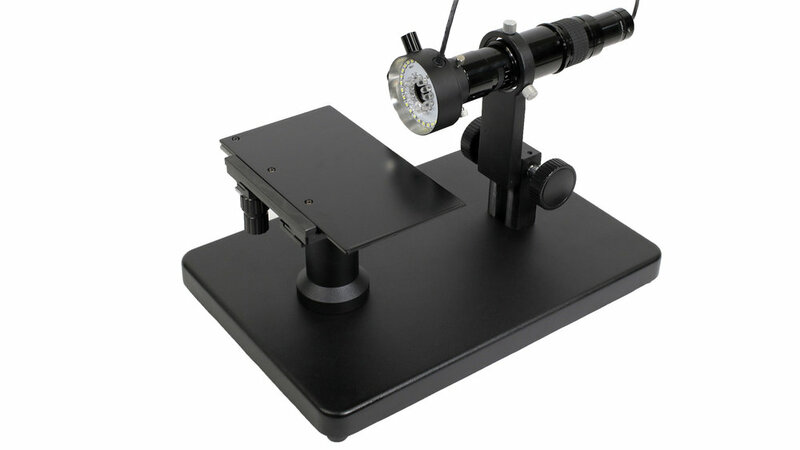 The UB503-LHK is an imaging solution that provides continuous magnification from 90x to 1000x with 72mm Working Distance. This setup includes a high quality eyepiece camera combined with a refocus sensor and zoom lens. 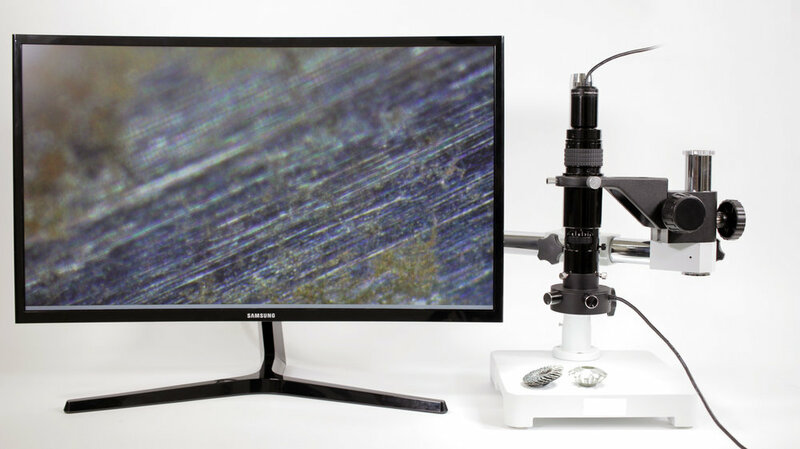 This solution includes an imaging software, heavy duty stand and LED ring light illumination. Stand options are below with varying prices.